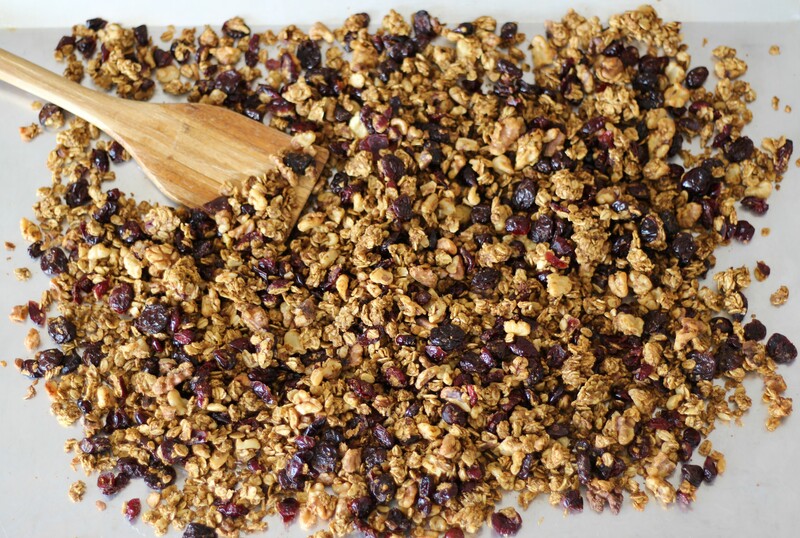 I LOVE making granola on a weekend afternoon in autumn, filling my kitchen up with its sweet, cinnamony aroma and savoring its fresh-out-of-the-oven, crunchy goodness. I talked about in my last post how I find the thick of fall to be an optimal time of year to cook, with the crispness in the air helping one’s kitchen not to overheat and that soft autumn sunlight filtering in and creating a relaxed vibe. This Pumpkin Harvest Granola is delicious regardless of what day of the year it’s made, but it especially suits falltime because of its incorporation of that big orange squash that we’re all so fond of carving faces into at this time of year, plus the hallowed pumpkin-pie spices – and dried cranberries and cherries and walnuts, to boot! Can I say here how much I adore pureed pumpkin? I know that’s kind of a random sentiment, but it’s a realization I came to over making a couple of drafts of this Pumpkin Harvest granola and having pureed pumpkin left over. I can eat that stuff straight-up plain. It’s got this subtle sweetness that I love. Combine it with the natural sweeteners honey and pure maple syrup, plus rich coconut and grapeseed oils and some pure vanilla extract, and TA-DA! You’ve got an irresistible coating for your granola. Marry it with the pumpkin-pie spices, the dried berries, the hearty walnuts and oats, and a hint of sea salt, bake it all to a glorious golden crunchiness, and MAN! have you got a breakfast! I mean, it’s delicious, it’s flavorful, it’s filling, it’s gluten-free and processed-sugar-free (excepting any sugar that may be infused in the dried berries used) and vegan – AND it satisfies pumpkin-spice cravings????? We have hit the breakfast jackpot lottery here! I love this Pumpkin Harvest Granola with plain yogurt, and I love it eaten plain as a snack, too. It’s great as a healthful little pre-dinner treat when you’re gearing up to cook a meal but are ravenous. Ravenousness (a legit word, fyi – who knew???) isn’t conducive to the patient crafting of a meal, in my experience, so I’m happy to enjoy an infusion of protein and fiber when I need it via the consumption of this pretty, pumpkin-y, downright fall-ish granola. It’s my favorite part of the post now, the on-to-the-recipe part. So . 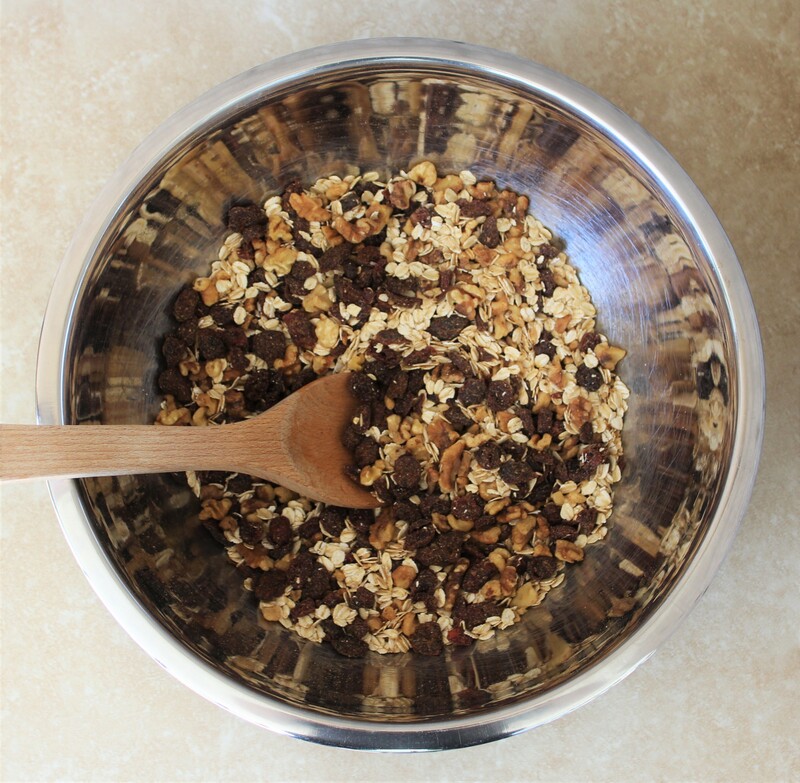 . . on to the Pumpkin Harvest Granola recipe and all of its sweet-and-salty, crunchy-cozy goodness! Loaded with walnuts and dried cranberries and cherries and kissed with pumpkin-pie spices and a hint of salt, this Pumpkin Harvest Granola is not only filling and flavorful and delicious, it's gluten-free and vegan, too! 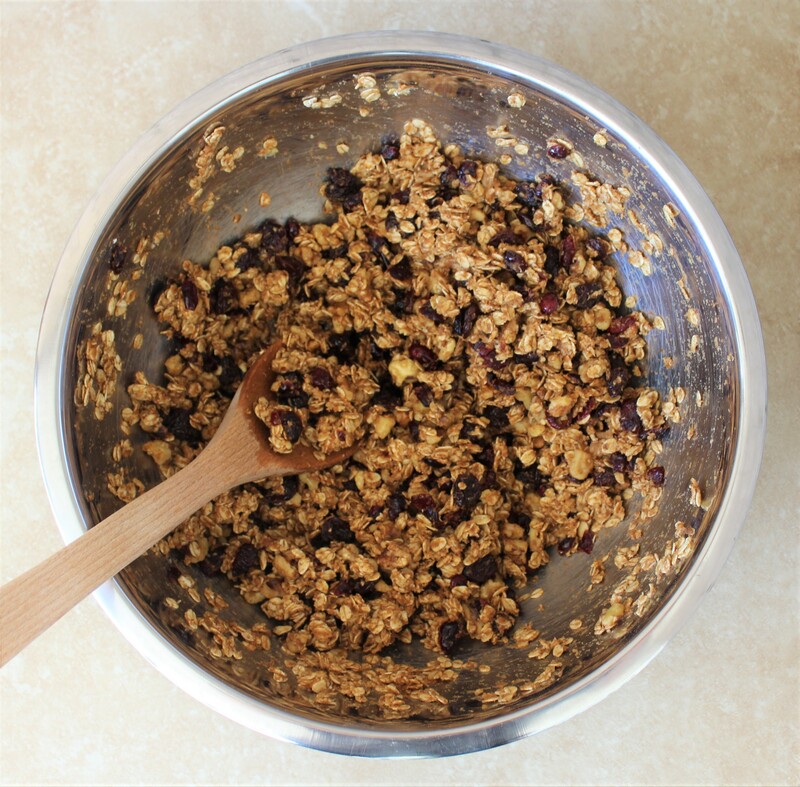 In a large mixing bowl, combine all dry ingredients: the oats, walnuts, cranberries, cherries, spices, and salt. Stir together the pumpkin, oils, maple syrup, honey, and vanilla in a small saucepan over medium heat. Bring the mixture to a boil, then immediately reduce heat to medium-low and, stirring constantly, simmer for two minutes. 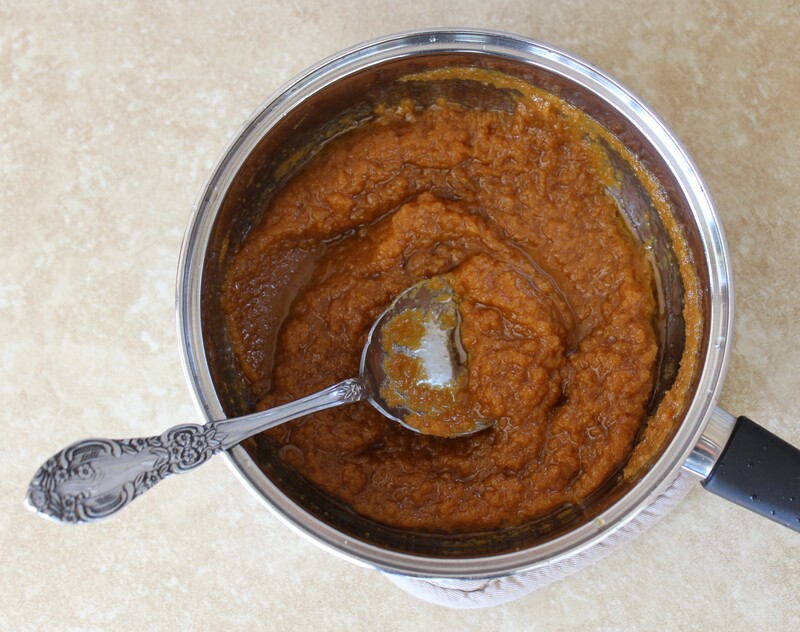 Blend the pumpkin sauce with the dry ingredients until they are well-coated. Spread evenly across a baking sheet and bake until crunchy but not burned, about 45 to 60 minutes - stirring every 15 minutes to ensure even cooking. And you're done! 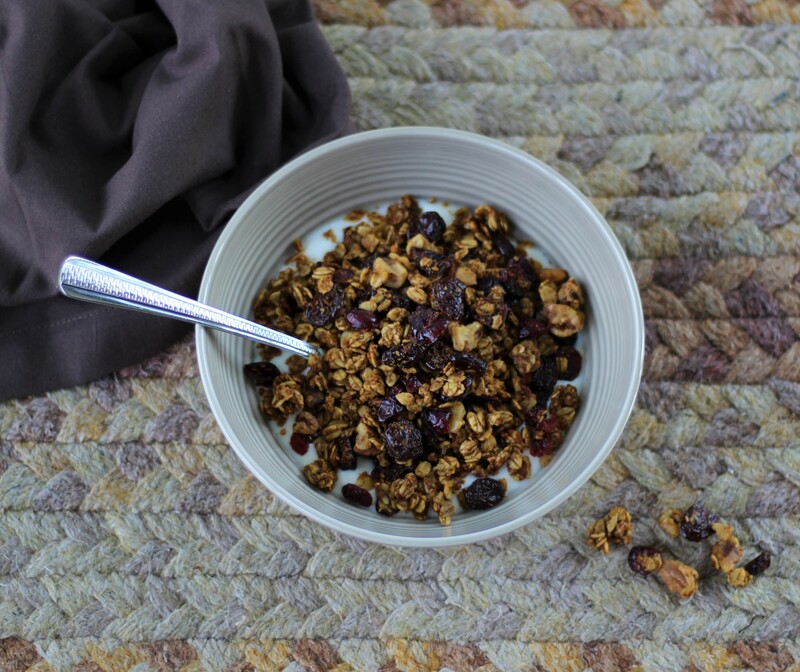 You have a crunchy, flavorful, filling granola to enjoy at breakfast or any other time of day that suits your fancy!